When trees are felled and their stumps left, new shoots grow from the stump. Timings We recommed treating the tree stumps as soon as they are felled. Trees are cut down all year round. Leaving tree stumps in the ground can lead to problems with suckering where new shoots arise from the trunk and roots which is why its important to treat the stump immediately when it’s been cut. Completely dead stumps will not form suckers but they can host root diseases such as honey fungus so it is not worth the risk. Tree stumps can be physically removed by employing a professional tree surgeon, however this is not always convenient or within budget. 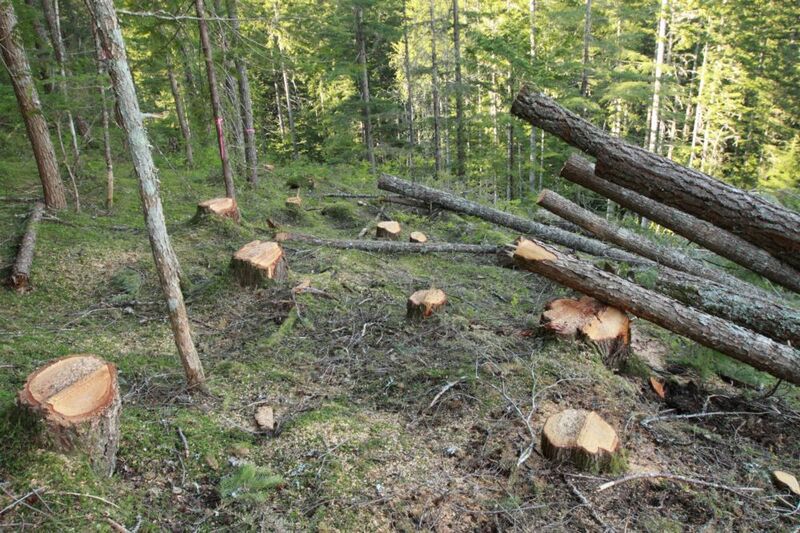 One way to get control tree stumps is to apply a glyphosate based product such as Roundup Pro Vantage to the freshly cut stump, or the stump needs to be re-cut before the product is applied. Depending on the size and establishment of the stump depends on how many applications it may need. 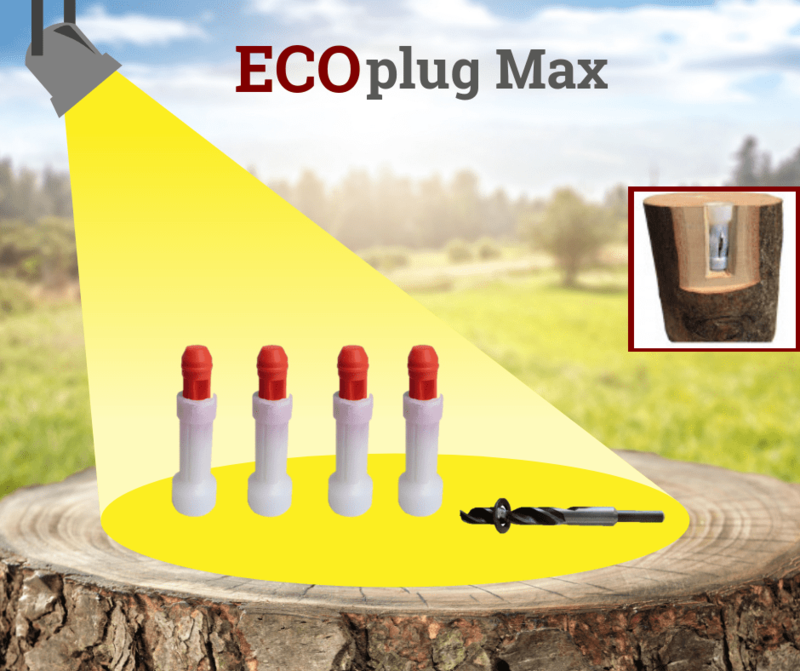 A better, safe, efficient and more environmentally-friendly way to also get rid of a tree stump is to use Ecoplugs which are drilled into the stump. As the Ecoplugs are inserted into pre-drilled holes in the stump & then hit in, the Glyphosate capsule within the Eco Plug will open and Glyphosate is released.